upcoming activities, projects and meetings in the City of Gainesville. January 1 - City offices will observe the new year Wednesday, Jan. 1. There will be a schedule change in curbside waste collection for New Year's week. Monday and Tuesday’s waste collection will be as scheduled; however, there will be a one day delay for Wednesday and Thursday collection. 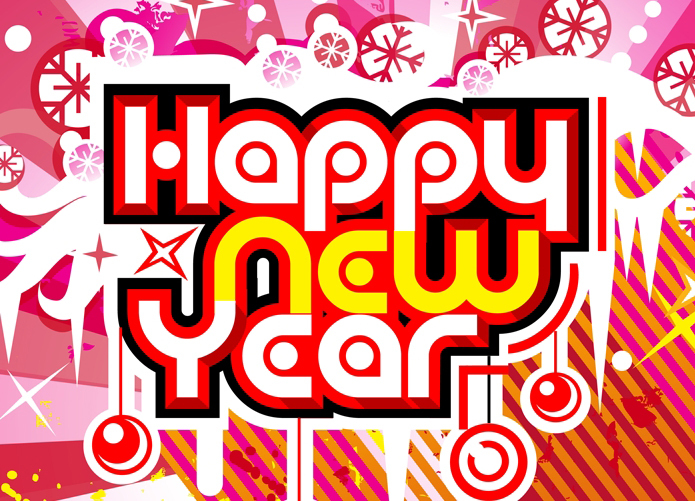 In observation of New Year’s Day, RTS offices will be closed and there will be no bus or paratransit service. Please visit http://www.go-rts.com/ for bus route and schedule information for the holiday weeks. January 20 - City offices will be closed on Monday, Jan. 20 to observe Dr. Martin Luther King, Jr. Day. Residential curbside collection of refuse will not be collected on this day, and it will be on a one-day delayed schedule for the entire week. Additionally, all RTS offices will be closed and there will be no bus service, including paratransit service. Jan. 2 City Commission and Jan. 20 CRA Meetings Canceled: Please note that the regularly scheduled Jan. 2 City Commission meeting and the regularly scheduled Jan. 20 CRA meeting have been canceled. State of the City Address 2014: Mark your calendars for the 2014 State of the City Address on Wednesday, Jan. 22 at noon at the Hippodrome State Theatre. The Honorable Mayor Ed Braddy, accompanied by City Manager Russ Blackburn and interim General Manager for Utilities Kathy Viehe, will deliver the annual State of the City Address, which will feature highlights from 2013 and lay out the vision for the continued success of Gainesville. The State of the City Address is open to the public. The live address will be recorded and available for viewing on Community 12TV or on the city's website at www.cityofgainesville.org. The 2013 Citizen's Report will also be released at this event. Registration Open for Gainesville 101: Citizens' Academy: Learn how Gainesville became one of the top-ranked cities in the nation. Gainesville 101: The Spring 2014 Citizens' Academy will give residents a behind-the-scenes look at city facilities and allow residents to meet their city's leaders. This series of free classes begins Wednesday, March 12 and continues for six weeks through April 16. Sessions are held from 8:30 a.m. to 12 p.m. Register now as space is limited! For more information, the schedule of events or to register, please visit http://academy.cityofgainesville.org. Empowerment Center Visioning Session and Tours: A community visioning workshop about the Homeless Empowerment Center will be held Saturday, Jan. 11 at the Thelma Boltin center from 8 a.m.-12 p.m. Tours of the center will occur the previous day, Friday, Jan. 10 from 9 a.m.-4 p.m.
15th Annual Great Air Potato Roundup Registration Has Started: The 15th Annual Great Air Potato Round-Up is coming up Saturday, Jan. 25, 2014! This year’s theme is “Taters of the Lost Park.” Online registration is required to participate and is now available. Hundreds of volunteers will come together for the 15th Annual Great Air Potato Round-Up to remove air potatoes and other invasive exotic plants from Gainesville's natural areas. After the harvest, volunteers will gather at Morningside Nature Center for a celebration for participants with free event t-shirts, refreshments, music and prizes. The air potato (Dioscorea bulbifera) is a non-native vine that jeopardizes Florida's natural communities by engulfing native vegetation. The rapid-growing vine produces aerial tubers (hence the common name "air potato") that fall to the ground in the late fall and winter and produce new vines that sprout in the spring. The previous 14 Great Air Potato Round-Ups have all been tremendously successful! Last year, nearly 1,000 eager participants enjoyed beautiful weather while removing more than 6.69 tons of air potatoes, 1,905 lbs. of other invasive plants and one 20-yard construction dumpster of trash from more than 25 natural areas and parks throughout Gainesville. With your help, we are making a difference! Join the Fun by Volunteering at the Hoggetowne Medieval Faire: Come be swept away with medieval magic by volunteering at the 28th Annual Hoggetowne Medieval Faire on Saturday, Jan. 25, Sunday, Jan. 26 and Friday, Jan 31-Sunday, Feb. 2 at the Alachua County Fairgrounds. Become a part of Gainesville’s most exciting cultural events. The success of the Faire depends on the commitment and dedication of our volunteers. Volunteer shifts are four hours long and include several different tasks. Volunteers will take tickets, distribute programs or oversee the exhibits in the children’s art and essay contest area. Volunteers will also watch over booths while artisans take breaks. Volunteers will receive a one-day pass for free admission to the Faire. For more information about this volunteer opportunity contact Linda Piper at 352-393-8536 or visit www.gvlculturalaffairs.org. RTS Spring Schedule: RTS began its normal spring 2014 schedule Monday, Dec. 30. This schedule is available on the RTS website and printed schedules are available at their normal locations and on RTS buses. Routes 27, 39, 62, 76 and new route 77 will begin spring service on reduced service. These routes will not run normal service until Monday, Jan. 6. Santa Fe Affiliated Routes to Continue Reduced Service: Routes 27, 39, 62, 76 and 77 will follow their normal reduced service schedule until Monday, Jan. 6. These routes are funded by Santa Fe College and classes there do not resume until Jan. 6. Recycle Your Christmas Tree and Gift Wrap: Wrapping paper and gift boxes can be recycled in your curbside orange bin. Christmas trees can be placed at curbside for pick up on your regular trash day. The trees need to be stripped of all decorations, including ornaments, bows, tinsel and lights. Additionally, trees can be dropped off at no charge at Wood Resource Recovery, which is located at 10606 N. State Road 121 (352-378-9133). Recycle Your Holiday Lights: Christmas tree and other ornamental lights can be recycled at the Public Works Center, which is located at 405 NW 39th Ave. There is a green cart by the front door of the main lobby that is available 24 hours a day for your convenience. Seasonal Energy Tips from GRU: Be sure to check out the seasonal and year round energy saving tips from GRU. Did you know that for each degree you increase the temperature from the recommended setting (68 in the winter), you can increase your energy bill by up to 4%? For more tips for this upcoming winter, please read more. Downtown Countdown Dec. 31: Every New Year’s Eve, downtown Gainesville rocks as the New Year is rung in at the Bo Diddley Community Plaza with live music provided by the area’s most popular bands. A countdown to the New Year at midnight is celebrated with free noisemakers and merry making all-around. This year’s headliner is The Impostors, a Beatles tribute band, with Crooked Counsel, a classic rock cover band, opening the show. Downtown Countdown is 9:30 p.m.-12:30 a.m. Tuesday, Dec. 31. 28th Annual Hoggetown Medieval Faire: The Alachua County Fairgrounds is transformed into a bustling medieval marketplace for the 28th Annual Hoggetowne Medieval Faire. Come be swept away by medieval magic as troupes of actors, street performers and musicians journey back to the days of yore on Jan. 25-26 and Jan. 31-Feb. 2. Join the crowd and cheer for your favorite contender as mounted knight’s joust in full plate armor on the tournament field. Applaud street performers who dance, juggle and jest for your amusement. Listen to minstrels playing period music and enjoy continuous live entertainment on eight stages. Browse through the bustling medieval marketplace for that perfect gift or trinket. Come early to enjoy a day packed with excitement and medieval merriment. Faire hours are 10 a.m.-6 p.m. on Saturdays and Sundays, and 9:30 a.m.-3 p.m. on Friday, Jan. 31. Admission is $15 for adults, $7 for children ages 5-17 and free for children younger than 5. Tickets are half price Friday, Jan. 31. For more information, call 352-334-ARTS or visit www.gvlculturalaffairs.org. Environmental Education Fall Programs: The fall programs began in September and run through May 2014 at Morningside Nature Center. Please note the events are free and open to the public. Barnyard Buddies (Wednesdays at the Living History Farm): Youngsters, with an adult, can meet and greet farm animals by helping staff with the afternoon feeding. You may bring food donations for the animals (carrots, squash, apples, sweet potatoes), but please give it to the staff. This free program begins at 3 p.m. and lasts about 45 minutes to an hour. Frogs and Friends Fridays (first Friday of the month, in the Education Building): Youngsters, with an adult, can join a Morningside Nature Center animal caretaker for a fun and education program where awesome amphibians and remarkable reptiles are the stars of the show. This free program begins at 2 p.m. Living History Days (first Saturday of each month): During Living History Days, interpreters portray day-to-day life on an 1870 Florida farm every Saturday from 9 a.m.-4:30 p.m. Foundations After-School Program: To have a strong, sound structure you have to begin with a solid foundation! Foundations After-School Program began in September and continues through Thursday, June 5, 2014. The program aims to foster ethical values and teach academic and life skills for youth. Participants will be involved in structured activities, such as tutoring, homework help, arts/crafts, recreation and sporting activities. All children are welcome, pre-registration is required. Space is limited and is available on a first come first serve basis. Transportation is not provided for this program. The program is for kids in first-eighth grade and there are convenient locations at four of our recreation and community centers (Albert "Ray" Massey Recreation, Eastside Community, Clarence R. Kelly Community and Porters Community Centers). For full details, go to www.cityofgainesvilleparks.org or call 352-334-5067. -Pieces of Dreams: The Art of Lorelei Esser runs through Jan. 4 in the Main Gallery. -Gainesville Fine Art Association 2013 Showcase runs through Jan.4 in the Mezzanine Gallery. -A Bare Thread: Art Quilts by Amy Vigilante exhibition runs Friday, Jan. 10-Saturday, March 22 in the Main Gallery, with an opening reception from 6-9 p.m. on Friday, Jan. 17. -Alachua County Public Schools: K-12 exhibition runs Saturday, Jan. 11 through Saturday, Feb. 8 in the Mezzanine Gallery. Gainesville Police Department Community Calendar: Did you know that GPD has a community calendar? The calendar shows meetings like neighborhood crime watch meetings, the Black-on-Black Task Force meetings and the Homeless Coalition meetings. Click here to find out the dates of these meetings and more!